West Yorkshire Combined Authority has discussed a report into a mass transit system serving a number of corridors across the region. The proposed transport mode has not been confirmed, with options including Bus Rapid Transit and Light Rail. 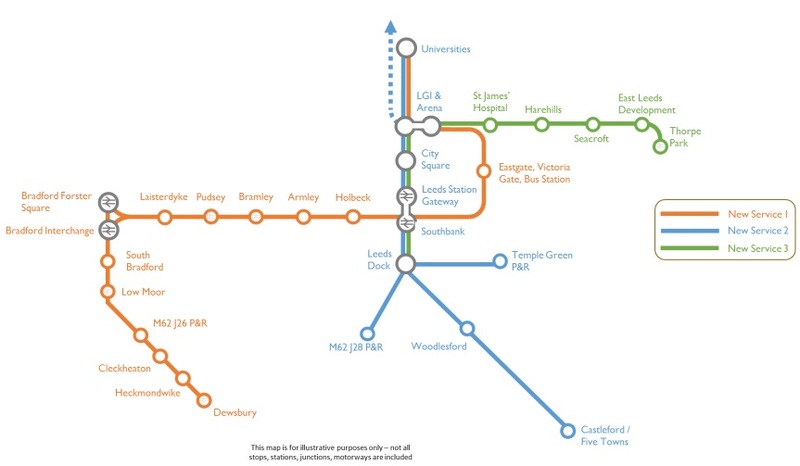 The report contains a plan which shows a potential three line mass transit network stretching from Leeds into Bradford, North Kirklees and the Wakefield district that would enable the region to exploit the improved connectivity from HS2 when it opens in 2033. A consultation on the proposals will open in early 2019.